One of the most respected self-made businesswomen in the Sheffield City Region has been honoured in unique style at the Northern Power Women Awards. In an unprecedented step, Julie Kenny CBE, founder of world-leading security system manufacturer Pyronix, and chair of Wentworth Woodhouse Preservation Trust, was awarded a special recognition judges’ award for outstanding entrepreneurship. The Northern Power Women Awards showcase role models and celebrate women and men working to create gender balance in organisations across the Northern Powerhouse. The third annual event, staged on March 6 in Manchester, attracted almost 1,000 entries across 12 categories. Julie, 60, grew up in Hillsbrough and Stannington in Sheffield, leaving aged 18 with just £45 to her name to take a secretarial job in Cornwall. She became a lawyer, then set up Pyronix with her husband in 1986. Despite becoming a single mother of three on the break-up of her marriage, she grew Pyronix into an award-winning organisation supplying 65 countries. When she sold the company in 2016 its turnover was £25 million. Julie is a government-appointed commissioner to Rotherham Borough Council and the first female chair of the British Security Industry Association. A member of the LEP, she has served on numerous government bodies and as Deputy Lieutenant and High Sheriff of South Yorkshire. She is a former Vitalise Businesswoman of the Year and PwC Private Businesswoman of the Year. 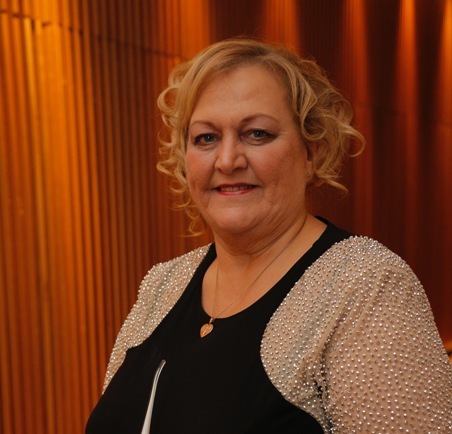 Simone Roche, founder of Northern Power Women, said: “The scope of Julie’s current involvement in business, charity and government appointments is vast. She currently holds 20 positions.